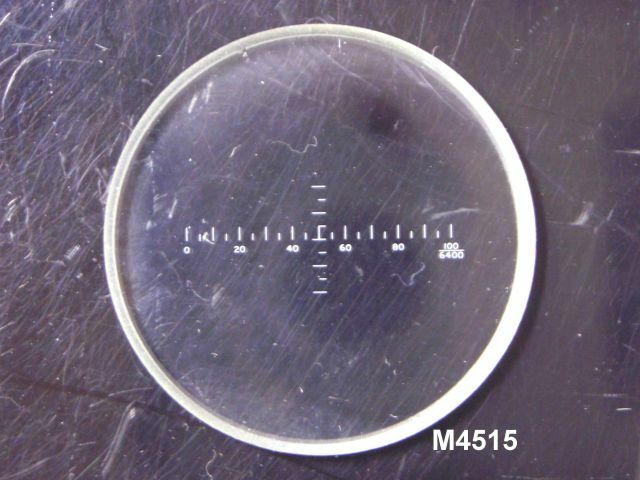 This glass reticle is graduated on the horizontal axis with a 100/6400 scale in 50 foot increments. The vertical scale appears to be an angular graduation of +/- 2 degrees in 1/2 degree increments. The diameter is 21 mm, and the thickness is 2.6 mm. New, old (1945) stock.